It was easy to predict that I would have violated my own ban on making more you tubes. My cold turkey withdrawal was just an overnight phenomenon eclipsed by my hankering to tweak the tripod, move the camera in all sorts of directions, and get a better angle of the piano for the next posting. I was already dreaming of multiple freeze framed images of myself performing, with the upload progress and processing times indicated. At least I had a healthy 24 hour pause before the fall. My weekly trip up north to the Bay could not in any way permit You Tubing. There were no camera, tripod, or lithium batteries lying around. I was on detox. Boarding Amtrak 711 at 6:50 a.m. on Monday, I bumped into Jim, my constant traveling companion who politely excused himself from our usual chit chat. He was bogged down with an urgent IT crisis that needed his undivided attention. Once we were seated at our table, I could hear puffs of instant messages going back and forth over the Internet causing me sporadic jolts that I attributed to electromagnetic fields. Jim, with his engineering background and Wikipedic mind, disagreed. Jose, another traveling sidekick, was off to Paris for two weeks, leaving me crowded in by Jim’s lap top and Blackberry, and by another visitor who had her study materials sprawled over a narrow space on our table that quite nearly invaded my personal boundaries. This left me alone to my own devices. Jim suggested that I hunt down a Fresno Bee and do some reading. Not a bad idea. I followed his advice and grabbed a copy from the cafe car while lumbering my way back to the table, nearly tripping over myself to the unsteady sway of the train. A rider could get a workout hitting the dining car enough times. Perusing the Bee was short lived. I grew tired pretty quickly and dozed off after having finished a small portion of the puzzle. Transported into an unconscious, deep layer of sleep, I could feel my intermittent, embarrassing body jolts that reminded me of the New York City subways, and my daily ride after a long day at the High School of Performing Arts. I would travel from the Times Square station at 42nd Street to the 225th Street Marble Hill stop in the Bronx. At any given moment, someone in the train would have one of those electric-shock like jolts, drawing the attention of strap hangers hovering over them. Or worse yet, a subway rider seated to the left or right of a dozing passenger might get a major, unexpected shove. My arrival in Richmond on the way to El Cerrito couldn’t have come too soon. I felt a bit embarrassed and isolated on the way up, and looked forward to mentally and physically cleansing myself with a rejuvenating climb into the Hills. Just to get a reprieve from pollution-ridden Fresno by ascending into the El Cerrito Hills was a weekly blessing that I would not take for granted. Wafts of aromatic flowers, plants and trees accompanied me on my way up Portrero’s path to its peak. 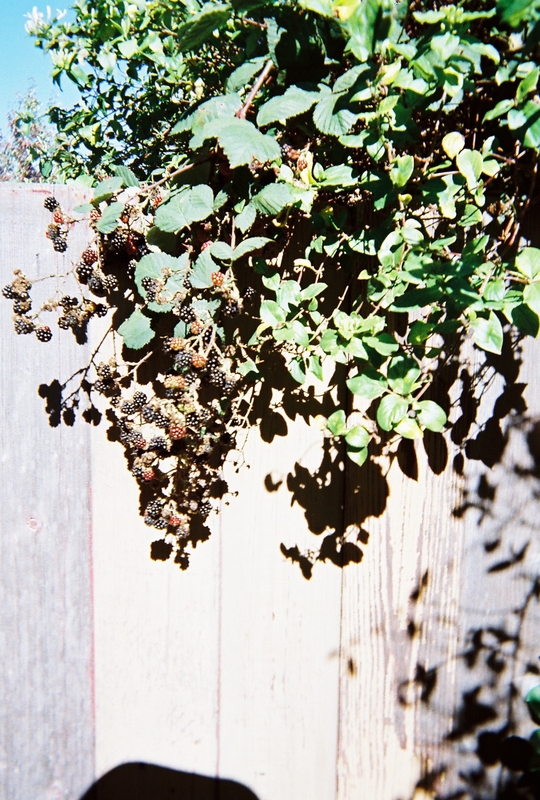 Mulberries, strawberries, oranges and a variety of vegetables gracefully grew and thrived. It was nature’s bounty unfurled in about twenty or so minutes of steep walking. 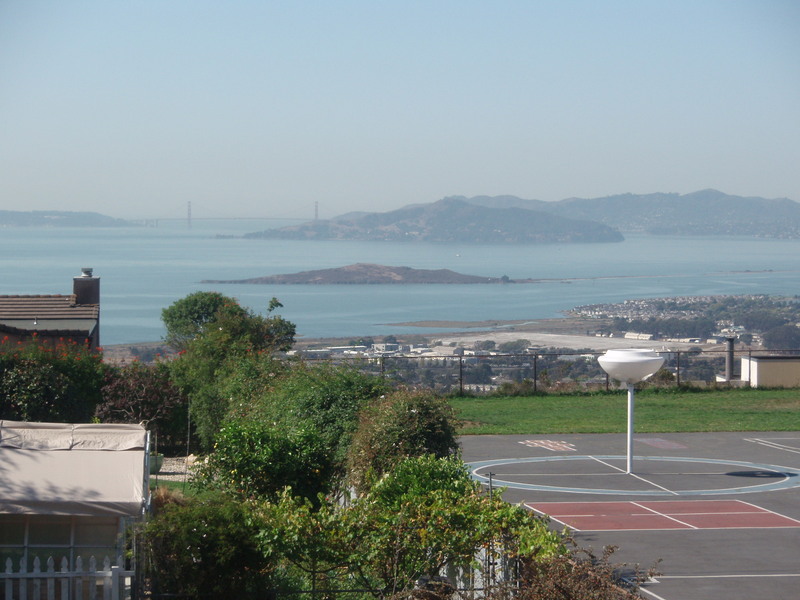 At that moment, I remembered when I started teaching part-time in El Cerrito. 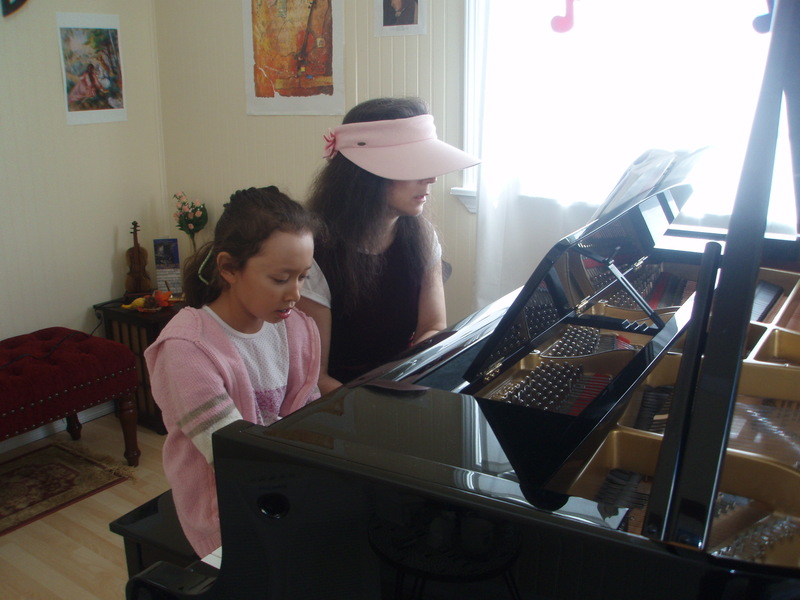 It was September 2009, when one of my students, Claudia, and her mother journeyed up to my new piano studio to check out my space. Upon their arrival, I nudged them to drive up Portrero for the awesome view that was thankfully captured by digital camera. To preserve memories of our visit together, I got to keep this great photo of Claudia trying out my Kawai grand piano. 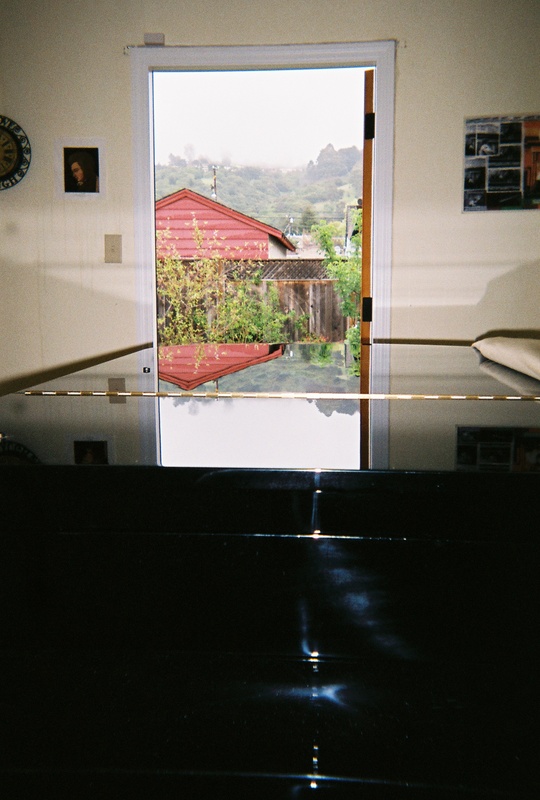 Winding my way down hilly Portrero a year later, having had an intense workout, stretching and toning my hamstring and calf muscles, I prepared myself for an afternoon and evening of piano lessons. When I arrived back at the studio after a soulful romp, I reviewed my lessons plans, and scanned the assignments from the previous week. I next read my e-mail to a cute 7 year old beginner with a shock of red hair. He was playing “Doorbell,” “Wind in the Trees” and “The Shepherd’s Flute” from Faber’s Primer Piano Adventures, and his more advanced older sister, Lucy was studying the Latour Sonatina, Kabalevsky’s “Clowns” and “The Entertainer” by Scott Joplin. Teresa, one of my adult students, was a retired attorney and world traveler. She loved her piano studies but wished she’d had more time to practice. I emailed her very detailed directions about how to work up her scales and arpeggios. It went on and on, but Teresa knew that she would open her heart to greater artistic expression by acquiring a fluid technique. Teaching was always a joy and meeting so many students, some of whom were like family was a blessing. 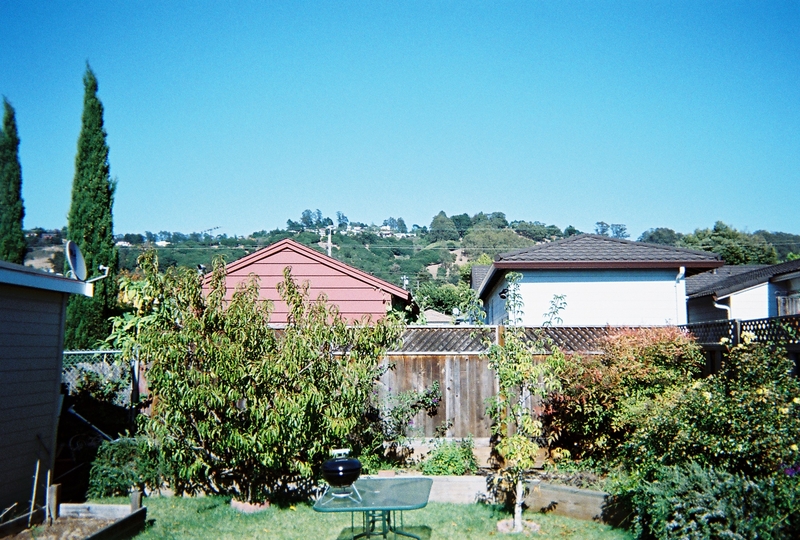 As an added extra, seated at my piano bench in the sized down El Cerrito musical space, I looked out upon a divine landscape of hills and terraced homes–a view that kept me coming back to the East Bay week after week. My trip home to Fresno on Amtrak 712 was uneventful except for the appearance of an inebriated man who approached me in the dining car where I escaped from the asphyxiating aroma of bleeding drapes in the passenger coach. I remembered him from a few rides back, when he bought earrings from an eccentric woman who made them out of guitar picks. He complained that he had never received them. With a paper and pencil in my hand I excused myself from any further conversation with this unshaven person holding a Heineken who inadvertently mentioned his run-ins with the law. Politely I told him that I had a magazine deadline to meet and needed some uninterrupted time for myself. My feeble apology reminded me of what had happened on my way up to the Bay on Amtrak 711 when Jim and Janelle excused themselves from conversation with me, only this time the situation was reversed. If this tryst with a stranger was an omen of things to come, I knew then and there that I was headed for a big plunge back into You Tubal dependency. And it happened as soon I entered my townhouse in Fresno. 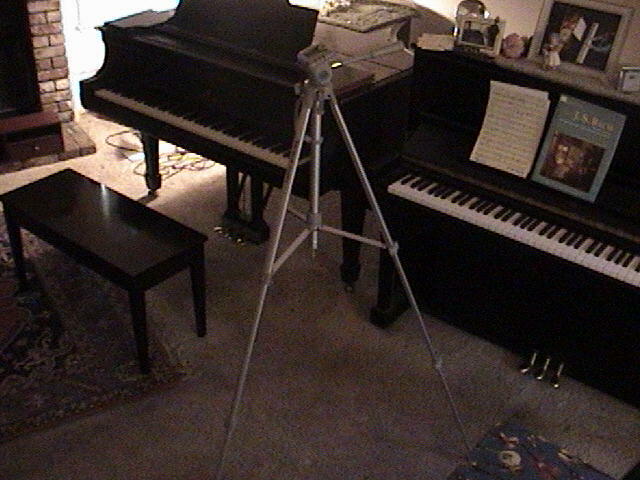 I hankered to maneuver the tripod and camera for the perfect angle, to capture the whole keyboard and the player, me, in blissful, karmic release–one of those “peak experiences” that Maslow had written about. So as I fell off the wagon in the course of five tedious upload hours, I had memorialized two pieces of music that I dedicated to my students: The Latour Sonatina and the “Andante” by JC Bach. Now that it’s after the fall, I’m happily back to you tubing. Next postNear heart failure, but Ilyana saved the day!